Hotel Lasermo,Chulung Old Road,Leh-Ladakh, 194101, Ladakh. 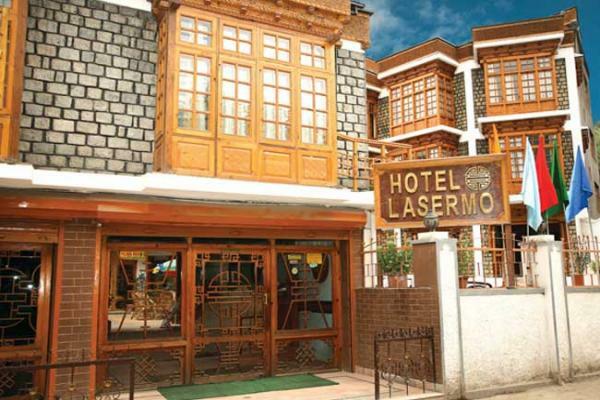 The hotel Lasermo is located in a tranquil green garden region of Leh .it offers a magnificent and delightful view of the Great Himalayan Mountains. It provides excellent opportunities for the visitors to rejuvenate their mind, body and soul as the nearby surrounding is so peaceful and relaxing . 21 well appointed double room with wall to wall carpets. Attach Bath with shower running hot & cold water. Pool Table & Central Heating. Luxurious Ladakhi style Dinning hall/Restaurant. The hotel is located near tourist Reception Centre Banks etc. Taxi / Jeep / Car available for local sight seeing as well for longer trips.